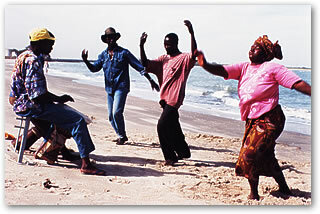 There is a big difference between traditional and modern African dance. 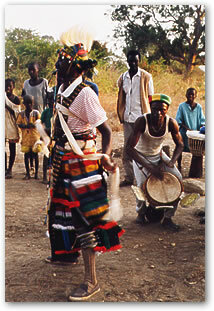 In traditional dance man uses the body for self-expression from the day of birth. For me, dance is the natural extension of everyday life and it's everyday gestures. Dance is the synthesis of thought and feeling. After over 30 years of teaching experience in both west African drums and dance, I give lessons in the most difficult part of the traditional African dance namely (the body coordination) This needs both knowledge and experience.